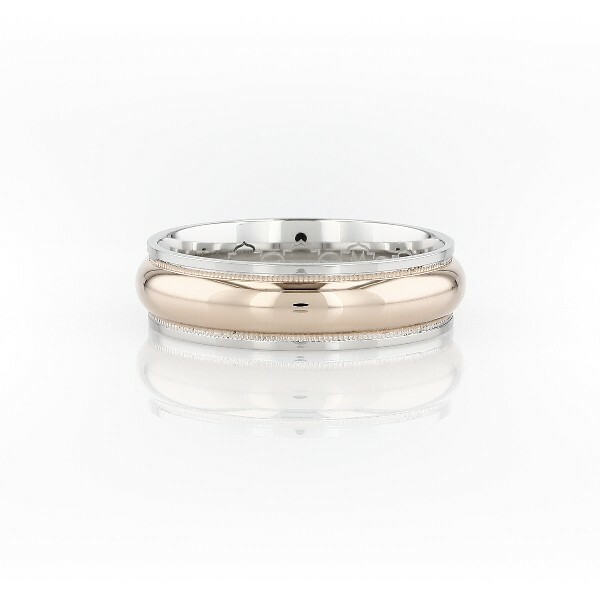 This milgrain edge wedding band takes refinement up a notch. Crafted in enduring platinum, this band is styled with double rows of milgrain detail and a domed center band of 18k rose gold. It features gently curved inner edges for comfortable wear.